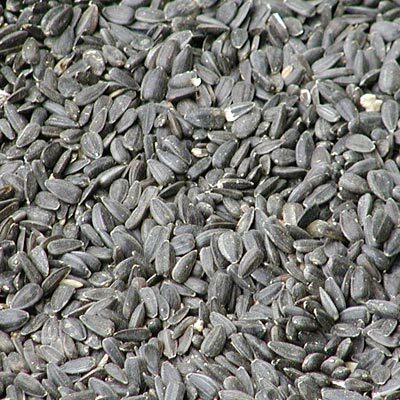 Black oil sunflower seeds have long been the staple for backyard bird feeding. It has a high percentage of meat and is a very nutritious source of quality protein. The seed also boasts a high concentration of oil, which is especially important in the winter. Birds will spread oil from their oil glands over their feathers to keep them buoyant, dry and warm. The black oil sunflower attracts a wide variety of birds and its shell is easily cracked open, even by birds with small beaks.